What’s that sound? Yes, it’s raining! Welcome rain visited the Ozarks overnight and continues early today. As of 7 am Sunday morning, Springfield picked up about a half inch of rain. 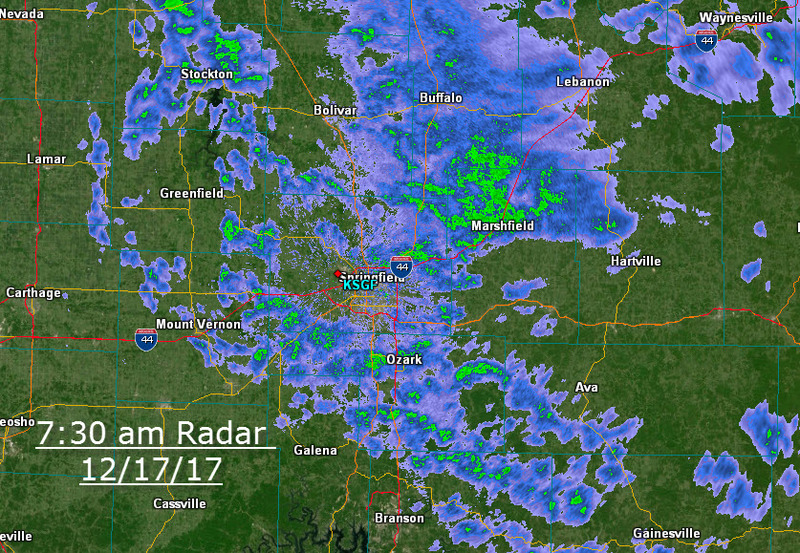 Morning radar shows showers in the Springfield area with the majority of the rain now northeast of the city. 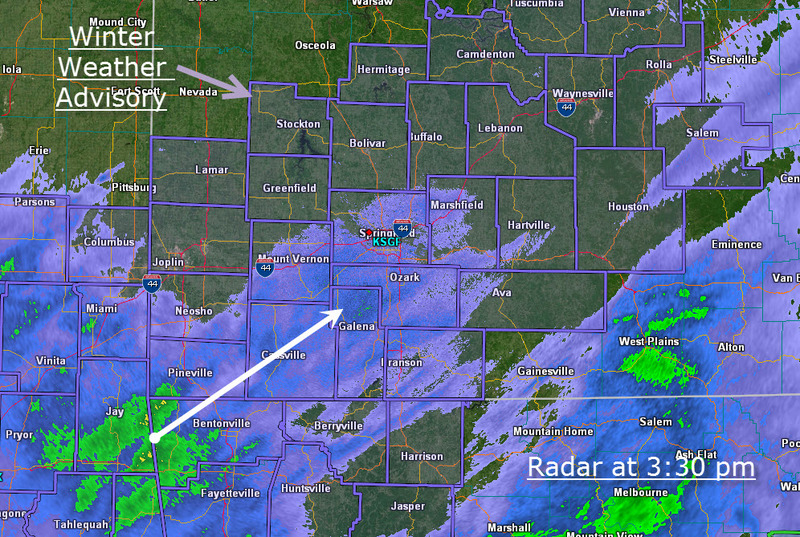 The rain will end in the Ozarks early today. The week heading into Christmas will be a mild one. 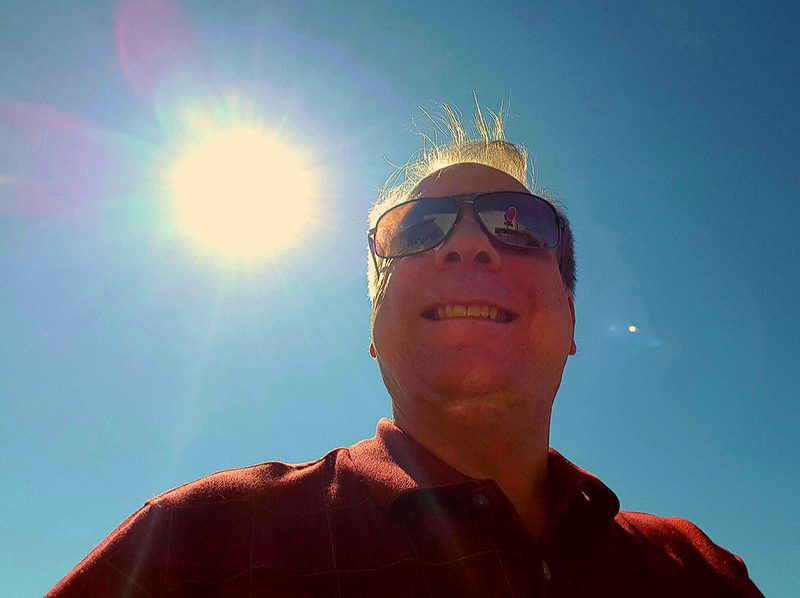 Expect high temperatures in the fifties and even sixties! However, a slam of arctic air will arrive on Friday. Much colder air will be in place next weekend with highs in the forties and even thirties. This leads me to a White Christmas comment. The first ingredient is of course it has to be cold enough to snow which appears likely. The second condition is a trigger for precipitation. Almost as exciting as Santa coming (a certainty! 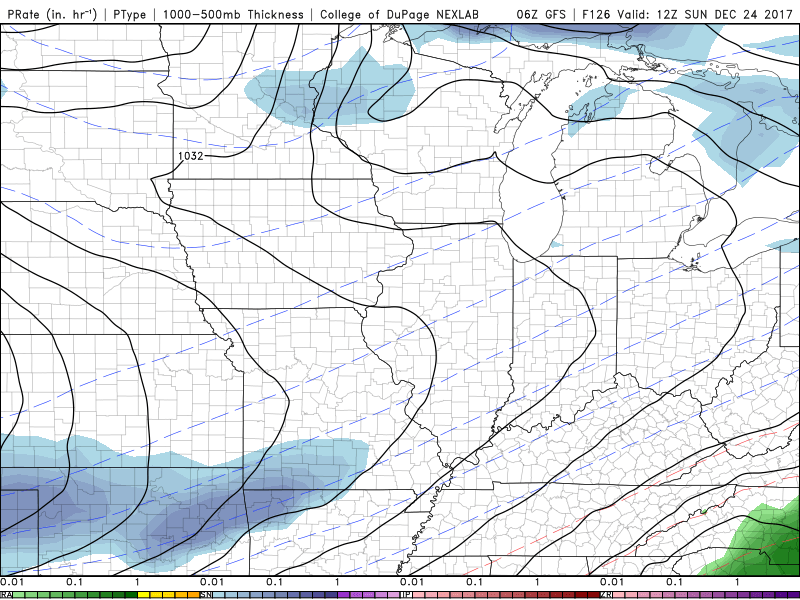 ), there has been a consistent signal for snow in or close to the Ozarks on Sunday. 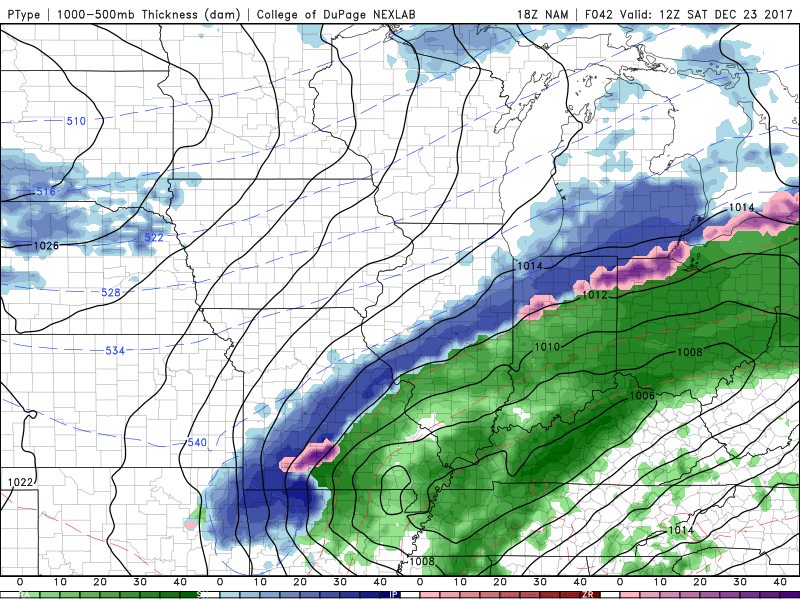 A White Christmas is usually defined as snow on the ground not necessary snow on Christmas Eve so this could be an exciting development. It will keep me watching the charts this week. More updates of course this week! Here are a few interesting Tweets during this week. 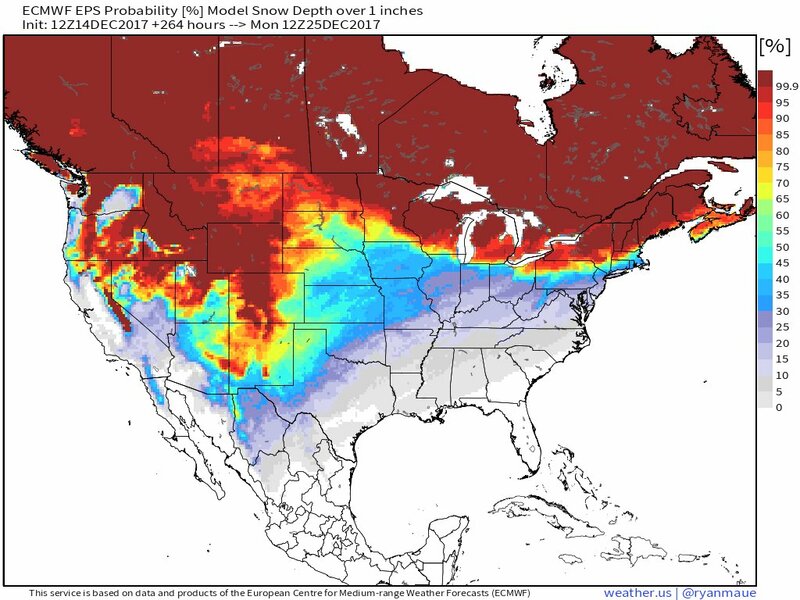 We are getting close to being able to take a stab at the probability of a White Christmas in the Ozarks. The danger of large outdoor grass fires is real today! 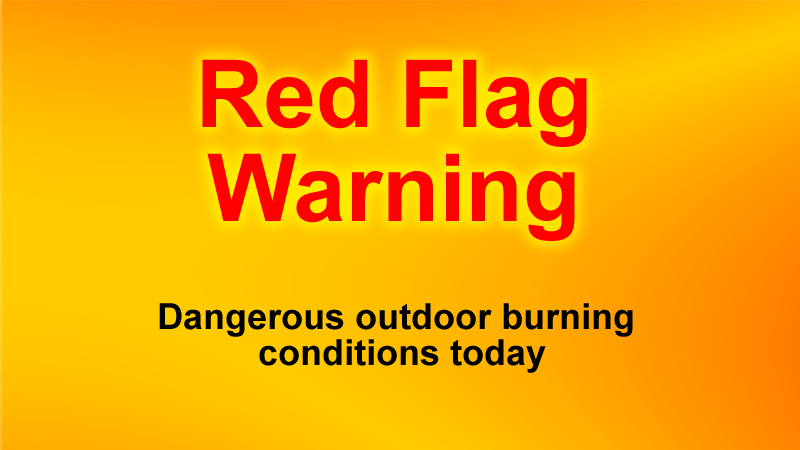 If you have heard the phrase “Red Flag Warning”, it is the National Weather Service’s alert for this condition. All outdoor fire risk is associated with these three conditions: dry air, dry fuels and excessive wind. Warmer temperatures are also a factor. All of these conditions exist in the Ozarks today. Burning outside is not advised as the risk of this fire spreading to nearby grasses is high. It can get out of control quickly. While it may seem like a great day to burn leaves or brush, don’t do it! 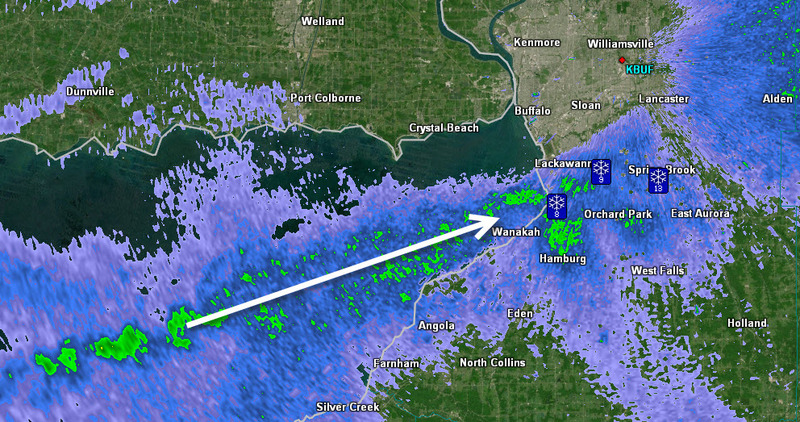 I’ve watching lake-effect snow bands set up on the eastern end of Lake Erie today. Lake-effect snow is the product of a warm lake and cold air. Because water cools more slowly than the air, this condition sets up starting in late fall and early winter. It is essentially a very unstable set-up: the air in contact with the lake picks up a tremendous amount of heat energy and humidity below a winter-cold mass of air above. 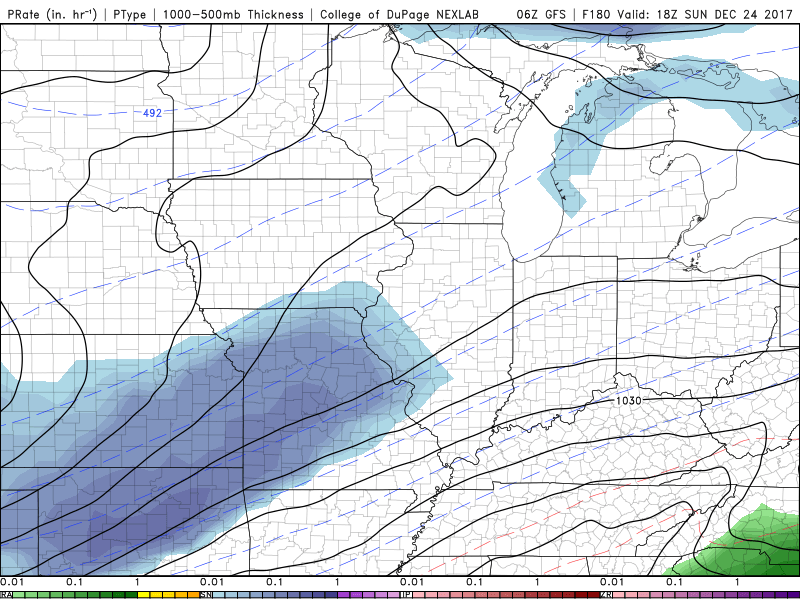 The result, assuming temperatures support snow, is narrow and extremely efficient band of snow. It is going to be a horrible night on the U.S. Virgin Island of St. Croix. Category five hurricane Maria has maximum sustained winds of 175 mph late this Tuesday evening. It is on track to pass just south and west or possibly over of the island of St. Croix overnight. This puts the island on the forward right quadrant of the storm, the most dangerous portion where the winds are strongest and the water surge will be highest. Maria is not forecast to change intensity in any meaningful way tonight or early tomorrow. It will landfall Puerto Rico on Wednesday. Both islands will experience storm surge from 6 to 9 feet, Winds will likely range in the 155-175 range. Wind gusts could be higher in the mountainous areas of Puerto Rico. Rain totals will exceed 20 inches in many areas.